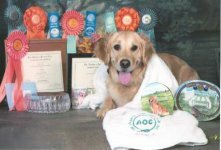 Legacy offers all levels of Obedience classes for all breeds of dogs. 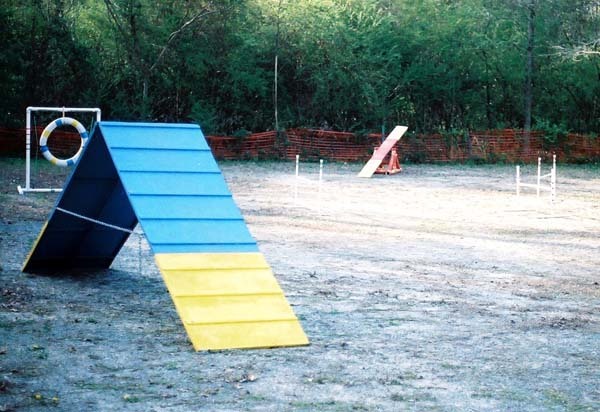 We now do agility and rally! Agility and rally classes are held on Tues nights. Obedience classes are held on Thurs night. 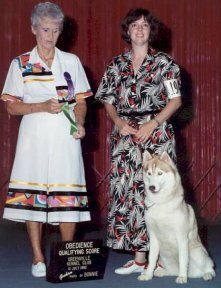 Trish Thurow, our experienced instructor has put Obedience (4 UD's, 1 CD, SH) titles as well as Agility (AX, AXJ) and Tracking (TD) titles on her own dogs. Two of the four UD titles were in combination with a Champion (CH) title. Trish's Danes have been Nationally ranked in Obedience, Agility and Conformation. 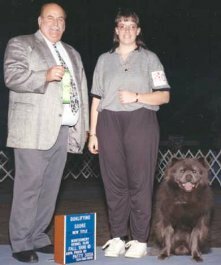 Click here for a list of AKC obedience and agility titles. 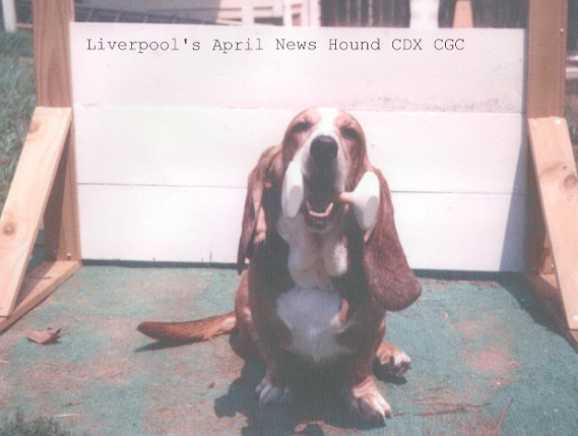 Our student successes include CD, CDX, UD, UDX title dogs. In addition, one of our students is a Dog World Winner. Group classes are offered. Classes offer socialization and provides distractions that enhance the learning process. 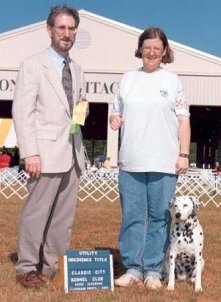 The goal for the Beginner class is to provide you and your dog with the skills that will put you both on the right path to a successful relationship. Classes are offered on Monday evenings. Basic skills taught include: sit, down, heel, stay and come. Dogs must be a minimum of 4 months of age and a shot record must be presented. 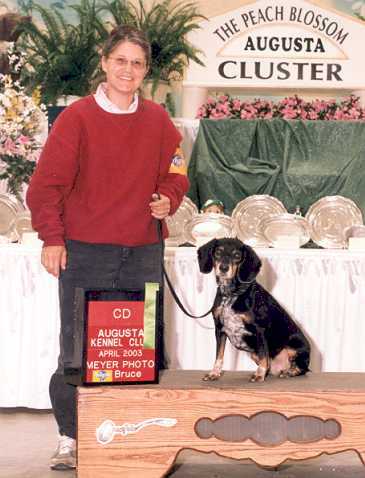 The Intermediate level class is geared toward achieving a wider range of obedience skills. Dogs at this level usual have the goal of achieving a Companion Dog (CD) title. In addition, Rally Obedience is taught. Skills at this level include: heel off leash, long sit stays and down stays, fronts, finishes, and figures 8's which teach the dog when to pickup and slacken his pace. Classes are held Monday evenings. To be eligible, a current shot record is required and the successful completion of Legacy's Beginner course or approval from our instructor. 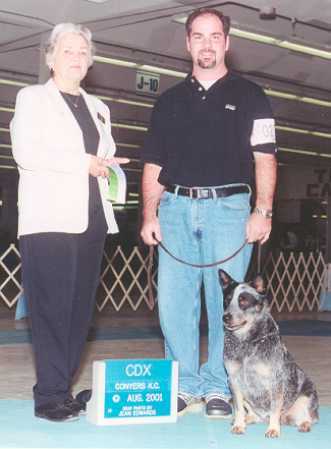 Advanced classes are oriented to students and their dogs that would like to achieve a CDX or UD/UDX titling. Skills taught at this level include: drop on recall, dumbbell retrieval, scent discrimination, and directed jumping. Classes are held on Monday evenings. To be eligible a current shot record is required and the successful completion of Legacy's Beginner course or approval from our instructor. Please call us at 770-974-0370 or e-mail us for more information about our training classes. Copyright© 2007-2011 Legacy Great Danes, all rights reserved.